Wales is very much the home of the sheep. We have supplied numerous Handling Systems both to small sheep farms and to clients who have up to several thousand sheep roaming the hills. Having the right equipment for you makes the work of dosing, clipping, foot-trimming, scanning etc a far easier task. Farmtec are able to offer advice based on years of experience and tailor made to your requirements. No obligation advice that suits your breed, size of flock and ultimately, your pocket. 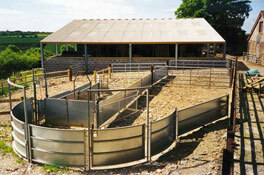 Bateman’s patented Sheepvet Handling Crate is, without doubt, the No 1 in the market and has enhanced many systems. Housing sheep is also very much an integral part of our design service. 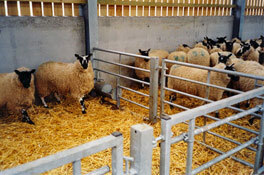 Labour shortages have made it crucial for the farmer to be able to combine lambing units within the housing system.